Lately, the topic of 3D printed guns has been a hot one, particularly in the United States as the legality of 3D printing guns and distributing their design files online has been one of the issues of the moment. Australia, however, has always taken a hard line on 3D printed guns, and recently a New South Wales man found out just how hard a line it is as he faced sentencing for six offenses relating to possessing an unauthorized firearm, manufacturing a pistol without a license and advertising a firearm for sale. The twist to this particular story is that 28-year-old Sichen Sun wasn’t planning to shoot anyone with his 3D printed guns – they were simply cosplay props. 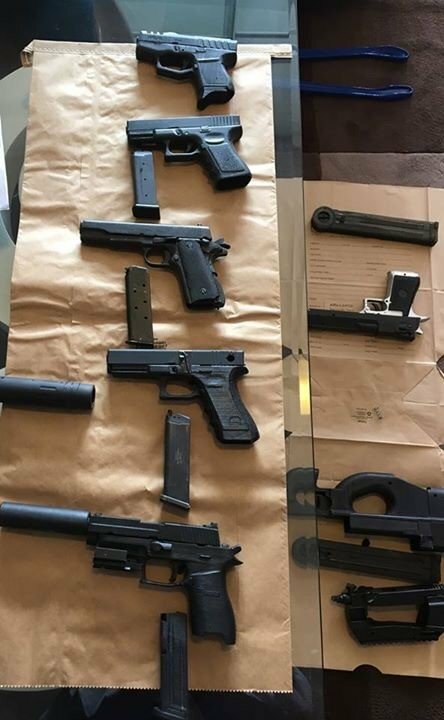 The guns that he created included replicas of a MA5C from the game Halo, which “does not replicate any real firearm in existence,” said Sun, and a P90 submachine gun used in Stargate as well as by US law enforcement. Again – replicas. That detail was irrelevant to the courts, however, as Sun became the first person in Australia to face sentencing for possessing a digital blueprint for a 3D printed firearm. The maximum penalty for such an offense is 14 years in jail. Sun was arrested in March of last year after detectives searched his home following a tip-off. He had found the files for the firearms on MyMiniFactory, and started a hobby of making “screen accurate” weapons for cosplay purposes. Eventually, Sun offered one of his 3D printed guns for sale in a private Facebook group for a negotiable price of $1 million. An outlandish price, for sure, but Sun said that he wasn’t actually expecting to sell the weapon – he simply wanted recognition for his work. When asked under cross-examination if he was aware of the laws he was breaking, Sun admitted that he had thought of them. Intent, however, is irrelevant under the law, and Sun is paying the price. His sentencing has been adjourned until the end of August, but he has been working to spread the message of the dangers of 3D printing guns (even prop ones) by distributing pamphlets about the New South Wales legislation at the Comic-Con and Supanova conventions, as well as four 3D printer stores and two police stations. 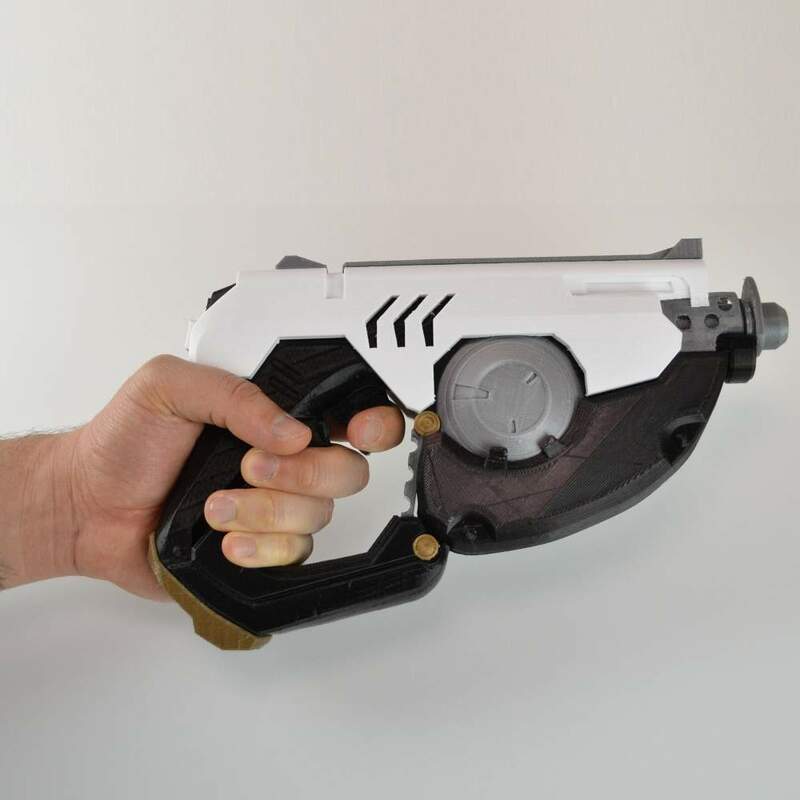 Sun is far from the first person to 3D print replica guns as cosplay props. Most of the people who have done so, however, haven’t been arrested – because it’s been clear that their creations are replicas only. Many people agree that the United States’ gun laws are in need of tightening, but at least those laws recognize the difference between a toy and the real thing. Sure, you can get in trouble for holding up a convenience store with a prop gun, but Sun did no such thing, and punishing him with jail for 3D printing prop guns, with the clear intention of using them for cosplay purposes only, seems a bit extreme. It’s true that his guns look more real than a lot of cosplay props, but still, 14 years in jail seems like an outsized sentence. We’ll see if that actually ends up being the sentence handed down at the end of the month. What do you think? Discuss this and other 3D printing topics at 3DPrintBoard.com or share your thoughts below.